An informant has contacted the local planning authority claiming Williams, 44, has been taunting the legendary guitarist by dressing up as Page’s Led Zeppelin bandmate Robert Plant and blasting out loud 1970s rock music on outside speakers. 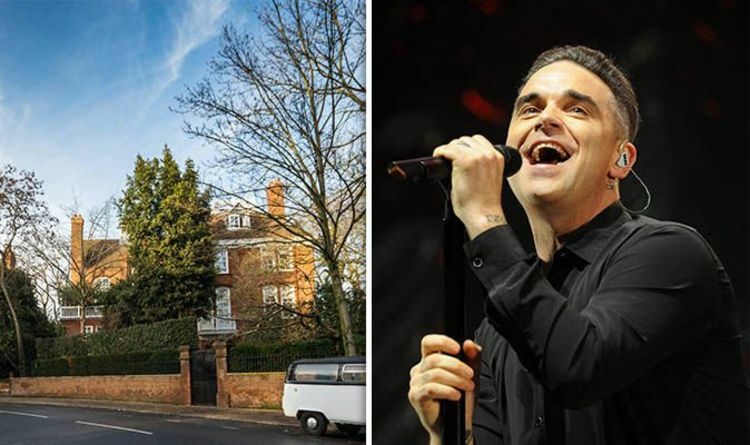 The “concerned citizen” sent a letter to planners claiming Williams has been playing songs by “arch rival bands” Black Sabbath, Pink Floyd and Deep Purple whenever he saw his neighbour in Holland Park, west London. The submission forms part of the official file of documents lodged with the Royal Borough of Kensington and Chelsea over Williams’ plans to build an underground gym and 30ft swimming pool at the Grade II listed home where the singer lives with wife Ayda Field and their three children. Page – who celebrated his 75th birthday on Wednesday – has bitterly fought the plans claiming it would damage his own Grade I listed home. The musician commissioned independent advice from acoustic consultants fearing the vibration from building works could wreck the interior of his Victorian mansion, Tower House. Page is so keen to protect the property he only plays acoustic guitar there, never electric. Despite his concerns, the council’s planning committee granted permission for the extension on December 19. Then, 10 days after the decision, the fresh submission came with “possible new evidence and information that could have a bearing on the ruling”. The letter, posted on the council’s planning portal with the author’s name and email address removed, also mentioned reports that Williams dressed up as Plant “by wearing a long hair wig and stuffing a pillow under his shirt in an attempt to mock or imitate Robert Plant’s beer belly that he has acquired in his older age”. Last night a spokeswoman for Williams dismissed the claims as “complete fabrication and nonsense”. The pair have been at loggerheads since Williams bought the property – which had belonged to Michael Winner – in 2013.